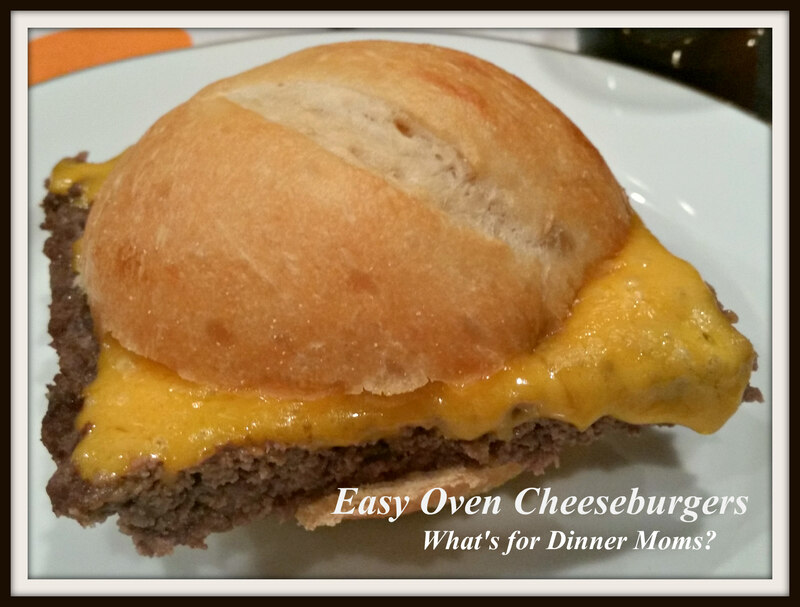 Easy Oven Cheeseburgers – Great for a Crowd ! – What's for Dinner Moms? 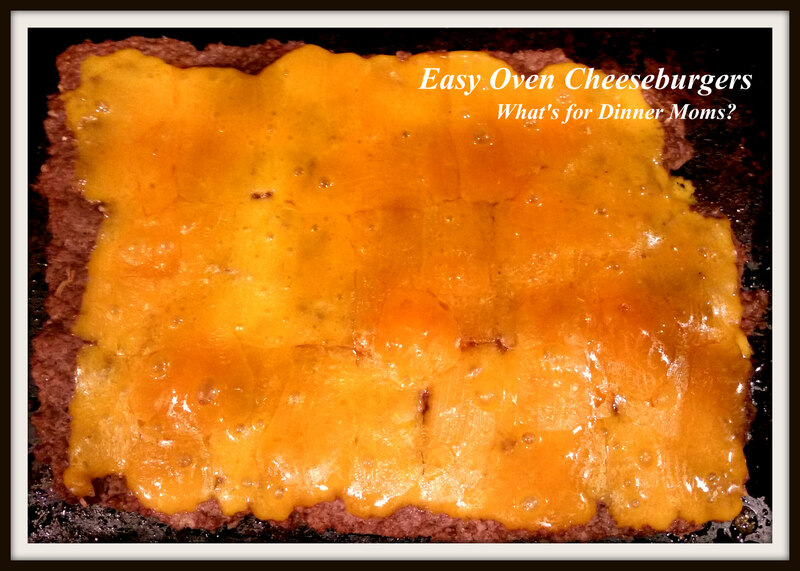 Easy Oven Cheeseburgers – Great for a Crowd ! We arrived home late Monday night from our trip back to New York. It was such a great time but we were all exhausted. The suitcases came in and went to the basement and we had to pay a little attention to the cat who was still miffed that we left her with a sitter to feed and water her. No thought was given to dinner for the next night. Someone usually pulls out some kind of meat so we are ready to go the next day for dinner. So, on Tuesday morning my daughter looked in the upstairs freezer and decided we were having ground beef because she would have to go all the way to the basement for chicken or pork. The horrors of having to go down 12 stairs to get meat when you are a teenager. Thankfully, I had just read a recipe for “Not so White Castle” Sliders from thecontinuallywanderingsoul.com. (click for link to post) It sounded simple and tasty so I thought I would give it a try. Everyone loved it! I had to make a couple of modifications from the original recipe for my onion hating daughter but it was still really good. I loved that it was so simple to make. When we have another party of teenagers I will definitely be making a couple of pans of these with a toppings bar! Place envelope of soup on a counter or hard surface. Take a rolling-pin or large can and roll over the envelope for 1-2 minutes turning the envelope to break up the onion pieces in the soup (if you have a child who doesn’t like onions if they see them like I do). Mix the soup mixture and the ground beef together until just mixed. Spread ground beef in a rimmed baking sheet to cover it completely from end to end. If desired cover the ground beef with the diced onions pressing them in slightly with your hand or rolling-pin. I would do onions on half the pan if you have children that don’t like onions. Bake for 10 minutes. Remove pan from oven and drain any fat off the pan and pat with clean paper towels to remove grease. Cover hamburger with cheese. Return pan to oven for 4 minutes. 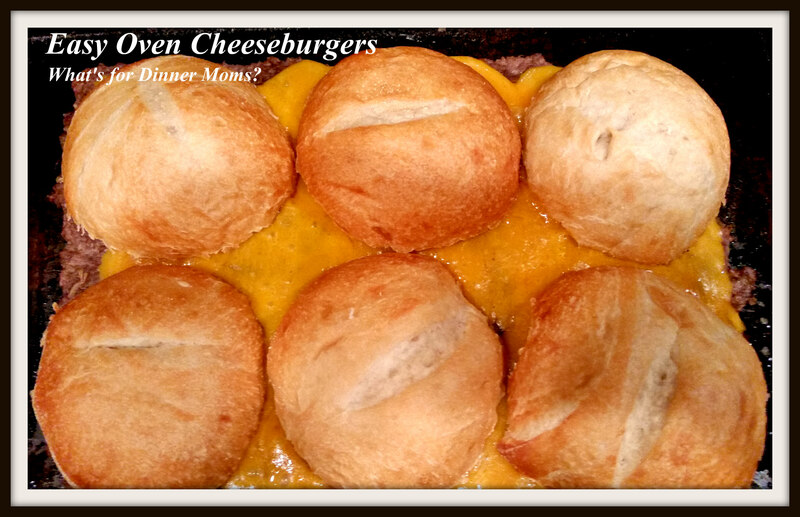 Remove pan from oven and place the tops of the rolls on the cheeseburgers (see picture 2). Place pan back in oven for 4 minutes. Remove pan from oven and allow to sit for 2 minutes. Cut using a pizza cutter into square patties. Using a spatula remove patties from pan and place on the bottom of the roll. Serve hot. I am so happy I found this recipe on theconinuallywanderingsoul.com! Those look amazing! I will have to try this one! These look delicious! A definite plus that they are easy to make. What a great way to make burgers when it’s cold and can’t go outside to grill! What a great idea, love it! Thanks for sharing the information on how to prepare these delicious foods. It keeps me busy sometimes at weekends, because I love trying them. Thank you! I hope you like them.